Visit key places involved with the Ronald Ryan saga. 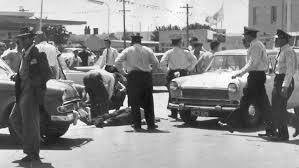 On 3 February 1967 Ronald Ryan (1925- 1967) and Peter Walker escaped from Pentridge to an Elwood hideout, triggering a reign of terror resulting in murder, bank robbery. Some still claim that Ryan should not have been convicted for the murder of warder Hodgson. 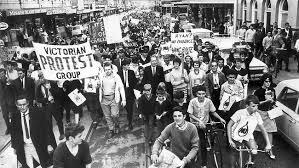 Huge pressure on the Bolte Government was brought to bear by a wide range of community groups and legal interventions to prevent the hanging. 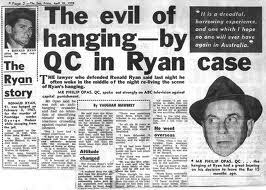 Ryan was hanged on February 3, 1967. It was Australia’s last and 186th hanging. Investigate six locations in Elwood and the history of pivotal events in this extraordinary saga. Ormond Road Hardware Store. The escapees purchased paint for license plates a bank robbery on 23 December, when Ryan (armed with the warder’s stolen rifle) and Walker robbed an ANZ bank in 553 North Rd, Ormond. Ryan herded 13 people into the bank’s strongroom and stole £4500 (Australian). A witness told reporters, “a bandit told me: ‘This gun shot a man a few days ago’. Also went to Grey Street to rob a bank but police cars were present. Vautier Street. The morning of the hanging, in early hours Brian Jones MP, Edgar Tanner MP and Barry Jones, leader of the anti-hanging committee, met at Tanner’s home in Vautier street in a last minutes attempt to intervene. The police arrived after a tip off that a plot to kidnap Chief Secretary Arthur Rylah by the three was overheard by the switchboard at a motel in Albert Park. Ormond Road: Walker and Ryan hid out in a block of flates from 22 December after the 19 December 1965 escape. From there he a published ‘Ned Kelly’ letter to media. On 24 December (Christmas Eve), there was a party at the flat. 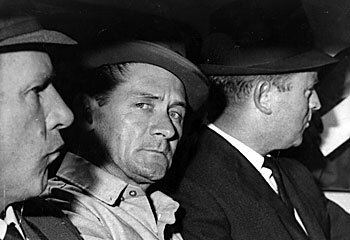 A petty criminal, John Fisher, who knew Ryan, and Arthur Henderson (Aitken’s boyfriend) were there. After all their beer had been consumed, Walker and Henderson left to find sly-grog in Albert Park for more drinks. An hour later Walker returned alone to the flat. He had killed Henderson in a Middle Park toilet block after collecting beer in Buckhurst Street. Docker St – the plot to bomb Pentridge and liberate Ryan (Brosnan, Grindley). Jocka Bell sent as messenger. Three criminal associates with ringleader Edward Jockey Smith had guns ammunition rope. Kingsley Street: The home of friend of Ryans: Ryan tried to contact his wife using coded adverts signed ‘Little Lady’. Police laid a trap using false adverts and raided Kingsley St seeking Ryan. Tennyson Street. 19 detectives and 13 police raided 21 April 1960 after Ryan’s first escape from Russell Street watchhouse, the first in a century. Squizzy Taylor was the earlier breakout organiser. – Prince of Wales Hotel – drinking shortly after escape. – Victoria Street, St Kilda, Margaret Calleson, 27, of Victoria Street, St Kilda, who had been charged with Davitt. was acquitted. A man was gaoled for a year in General Sessions today for aiding Ronald Ryan, who escaped from Pentridge gaol last December.. Judge Harris told Bernard Davitt, 28, painter, that he was a menace for prevent ing a dangerous and desperate man from being arrested.